Should You Switch from MT4 to MT5? In one of my older entries, I’ve highlighted the main differences between MT4 and MT5 to help y’all decide which platform you should use. 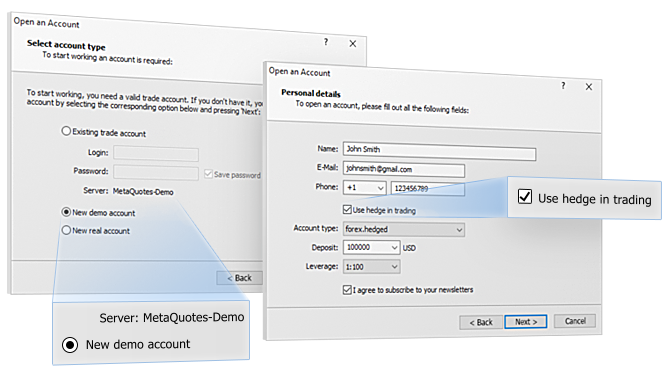 Just recently, MetaQuotes Software Corp CEO Renat Fatkhullin has been encouraging traders to shift to the latter because of its new features. In particular, Fatkhullin is referring to the hedging option which is now being offered on the MT5 platform. Trading platforms usually have a netting system for trades in which an opposite position to an existing trade could result to partial closing or a net position, depending on the number of units bought or sold. Last month, MetaQuotes announced that it was able to come up with a solution to allow hedging, but this depends on local jurisdictions. In addition, forex brokers can decide whether or not they’d like to enable this functionality on their MT5 platform, as some regulatory agencies don’t allow this. Clients can also choose to activate this feature upon opening an account. Aside from allowing traders to simultaneously maintain long and short positions on the same currency pair, MT5’s hedging option also permits clients to set different closing parameters for multiple positions instead of having to create entry orders for each one. To top it off, MT5 includes a new “Close By” feature that can link two open positions in opposite directions in order to cut down on spread costs. That’s on top of the six types of pending orders and two types of stop orders that MT5 offers, compared to MT4’s four types of pending orders. If this is all too much for you and you’d rather stick to the basics, the older MT4 platform is still a pretty solid choice. Keep in mind that this simpler platform can execute EAs designed through the native MQL language faster and that it takes up less memory space on your computer compared to MT5. Have any of you tried trading on both MT4 and MT5 forex platforms? How was your experience? Don’t be shy to share your thoughts in our comments section!